What happens if I put the wrong RSN? We wont be able to deliver and you will likely have to wait for a refund. Is there any other fees ontop of the G2A one? Gold is marked up by $0.004 so if the list price is $1.15 its really $1.154. The payment processor that allows us to process many different payment methods we otherwise would be unable to. Your bank or financial location may of rejected the payment - Please contact them and make sure the payment being rejected was not on their end - Some banks(Like if ur in the USA) will reject the transaction because its being billed through an overseas company(G2APAY) - They are 100% safe to be billed from but some banks will not recognize that. The most common cause of rejection is ordering when a add-on, vpn, proxy, vps or other hiding tool is being used, if you purchase while using one of these your order will be denied everytime by g2apay. So please make sure to turn off ALL hiding tools as defined above. The second most common denial reason is failure to verify, this means you simply failed to answer a g2apay email or phone call or text which they requested from you. Please make sure to do ALL verification steps that G2apay asks of you. You guys say you accept prepaid cards/ prepaid visa cards yet mine is not working/was rejected, Why? Due to g2a's home base location being in the UK we can only accept UK purchased prepaid cards and visa gift cards, We are able to accept US prepaid giftcards through the "playerauctions" option when u go to our cart with your product! Why does my order have a 10 minute timer? Larger orders have a 10 minute timer for the system to fully verify you, after the 10 minutes are up your order will either be processed or rejected. Note: MONDAY-FRIDAY IS CONSIDERED A BUSINESS DAY, WEEKENDS DO NOT COUNT. These are the MINIMUMS that it would take to get a refund, it may be longer, g2a handles all refunds not us so we are completely powerless to make them go faster, we apologize for the inconvenience! My order is taking a while to receive, what's going on? While we do our best to provide delivery times under 5 minutes sometimes when the chat is busy and our chat agents are heavy chat loads delivery times vary, please be patient when waiting for your order! You have been out of stock in a product for a long time, whats going on? 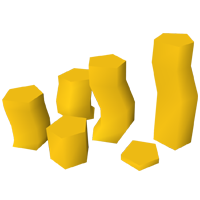 Sometimes we run out of stock of a certain gold(07,rs3,rsps,etc) for a long period of time due to lack of sellers, if you purchase and have not received your order within ~48 hours please make a ticket asking for a refund, if you do not make a ticket the managers of the website will not even know about ur issue! We cannot help people who do not make tickets. - Some payment methods(g2a) there is a small 4.9% fee when purchasing-you have been warned! We are based in the good old USA, no Chinese gold farmers or sweat shops here! How do you sell so cheap compared to other gold giants? We believe price is everything when it comes to our customers, instead of cutting into ur wallet, we cut into ours. We have never had a customer get banned- EVER. Click the giant chat bubble in the bottom right, if you don't see it try a different browser, if you still don't see it your probably banned for the livechat and can appeal this via the ticket system. I sold gold to you guys and haven't got paid yet, where is my money? Payments are normally instantly sent(99% of the time) occasionally a payment may be backed up or we had a sending issue that we needed to speak to you about, please contact livechat or make a ticket if you don't receive your payment within 24 hours. I forgot to put a delivery RSN, what do I do? Contact livechat, there may be a solution we can provide. How are you able to pay for runescape/rsps gold? We offer a variety of payment methods including but not limited to: Paypal, Skrill, Bitcoin/Etherum and other cryptos, 07 gold/Rs3 gold(rsps), Amazon gift card, Western Union & more. Can I make a direct order/send payments to you as friends and family and avoid g2apay? We have reputations on Sythe, Osbot, Tribot, Powerbot, Epicnpc, Ownedcore, Abusewithus, Hackforums & more. I've been scammed by one of your impostor sites(.eu,.org, etc) what do I do? Please make a report on the appropriate trading forums, don't contact us please. Is my information safe to enter on g2apay? Absolutely, they are a multi billion company with hundreds of employees. Is my information safe to input on rsgoldfund? Yes, all information on rsgoldfund is encrypted once you enter it. One of my friends referred me, do they get a reward? When you sign up for a site account, put ur friends email, they'll be emailed with a custom coupon or we'll send them some $/rsgp! Make a ticket with your order ID, name and payment method and explain why it needs to be refunded. Refunds take between 5-21 business days(g2a's end, out of our control). Are your accounts you sell made by you? No they are made by trusted skilling teams on sythe! How accurate is information on this site? Information found on the site is kept accurate as much as possible however sometimes we fail to update things for an extended period of time which can lead to outdated markets & outdated information on the site, we try to keep outdated information to a minimum however it does happen, by visiting rsgoldfund.com you hereby acknowledge that some information you see may be old/outdated and you waive any right you have to a report regarding this information. If I order an account, when do I get it? The owner will deliver the account to you via skype, account delivery's may take from 15 minutes-30 days depending if the account is in stock. Are you guys the original owners of the accounts your selling? Typically no. Sometimes we are it depends on the account being bought, if you wish to specifically know if we are the Original owners of the account ur buying please ask the boss on skype. Are you guys responsible for any wealth on an account if responsible that I purchase? No we are not, this is your one and only warning, the chance of recovery of an account sold by us is almost non existent but if it is recovered we are NOT LIABLE for the wealth on the account, since you purchase the accounts through rsgoldfund.com you hereby waive any right to attempting to report rsgoldfund.com or its affiliates for wealth(virtual currency/time/stats gained/gold/items) on a runescape account that is recovered, by purchasing an account through rsgoldfund.com your hereby agree to this term automatically. Can I order custom accounts? Yep, contact our boss via skype NOT LIVECHAT. NO, any payments made via G2A will NOT be delivered, should you pay via paytm all payments will be seized and held until the site is reimbursed in full for the fees caused to us. NO, any fees or damages caused to the site through u paying through SMS will be incurred by you - this includes fees, lost gold, damages & more. Yes we accept Paypal through G2APAY & Playerauctions. What are the requirements to pay via paypal? If you pay via G2APAY all we need is your paypal receipt - no ID ever! You MUST file a ticket on our site through our ticket system as G2A sometimes asks for the reasoning of us requesting a refund - without a ticket we cannot guarantee that a refund request will process. I googled you and found a report, What's up with that? -Reports do happen sadly after so many years in business some customers have felt the need to make false reports against us, we would not be here and advertised on a dozen forums if we didn't conduct legitimate business. I want to buy a OSRS/RS3 account or already have only to be told there's none available - What's up with that?